In this story we hear again echoing voices from a forgotten past. In the late 1600s in the dying light of Gaelic Ireland, Hugh O’Neill, Earl of Tyrone, led the northern chieftains in a last brave struggle for faith and fatherland; to rid Ireland of an encroaching English influence, and to retain her ancient Celtic way of life. At the time of the Tyrone Rebellion the northern part of Ireland, together with the Western Isles and Highlands of Scotland were the last remnants of a 1500 year old Celtic culture. The western isles furnished a cadre of elite mercenary warriors who fought for these northern chieftains. The author was born in the north west of Ireland, in the area central to his story, and in his early years walked among relics of that forgotten past. As a child he stood with his parents on the old bridge at Ballyhannon to gaze at the falls of Assaroe and the site of the nearby fifteenth century O’Donnell castle. The Falls no longer exist, replaced in the 1950’s by a hydro electric dam. A market yard now stands on the site of the castle. As a schoolboy he rambled through the old Maguire castle in Enniskillen, once the stronghold of Maguire chieftains, later the home of two of the oldest regiments in the British Army, and now a museum. /With his parents he made an annual pilgrimage to the Holy Well close by Abbey Assaroe, a twelfth century Cistercian Abbey, -- and left votive offerings by the well, as had their pagan ancestors. 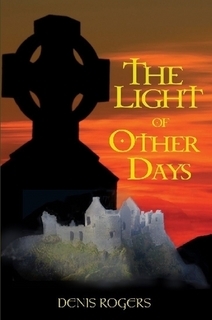 This book is a ramble through Irish history. It is interspersed with chapters relating to modern day events that serve to link Ireland’s past to Ireland’s present, and that will acquaint the reader with how those events of the 1600’s have had such an impact on modern day Northern Ireland. Maire Liberace's first full book of poems. THE HARBOUR GALLER, BAYVIEW ROAD, (ROAD TO THE RATHLIN FERRY), BALLYCASTLE, COUNTY ANTRIM. SATURDAY, 6 AUGUST, FROM 6.00 T0 8.00 P.M.
Maire has previously published poetry in 'A New Ulster', Northern Ireland's newest literary and arts ezine, magazine. 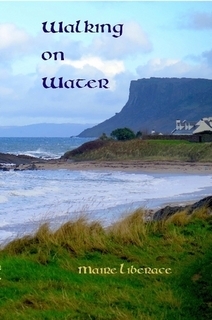 The poems are a celebration of Ireland. Maire has grown up with a love and regard for its history, its legends, literature and poetry. All have been embedded in the marrow of her bones and this is reflected in a deep love for the country she grew up in. Now resident in the United States, and with a grown up family, she is still immersed in the stories, people and experiences that shaped her early years and which have given her sustenance, succour and structure throughout her life. She remains a frequent visitor to Ireland, returning to the North Antrim coast every year, keeping in close contact with the extended family in Ballycastle and Carey. And it is of these places and people that she mainly writes; especially Ballycastle and its environs. These are the places that have brought everything together for Maire. The people, the landscapes and, in particular the sea, have always been and still are the sources of her inspiration. Among these, Murlough Bay remains the place of her dreams and fondest memories. crystal beading on my hair and jacket. The poems you will find here are strong, yet quiet, thoughtful yet accessible, thought-provoking yet without straining to be clever. They deserve to be read and reread by all who feel the pulse of the past beat from this lovely landscape and who see the glimmer of ancient ghosts cross the features of folk and events still with us. Just as her mother imbued Maire with the love of her childhood landscape, so Robert, her son and renowned artist and living Master, has celebrated the same setting through his art and sculpture, and some of Robert’s work graces the pages of this publication. We are delighted that the Linen Hall Library were pleased to receive a donation of some of our reprints of antiquarian books, which they have made available to all members . Thanks to Patricia Craig for reviewing our new edition of "Ulster and the City of Belfast". Patricia Craig's review in the The Times Literary Supplement (TLS) our new edition of "Ulster and the City of Belfast" by Richard Hayward . The Northern Standard's review of our new edition of "Ulster and the City of Belfast". This is the "Irish Examiner's" Review of "Romancing Ireland". Well, you have heard of him now, thanks to Paul Clements. Mayo News reviews the new paperback edition of "Romancing Ireland". Maureen O'Hara reading "The Corrib Country" by Richard Hayward during the filming of "The Quiet Man". Launch of "Donnchadh MacSuibhne (Denis Sweeney) : A Master's Collection" Randelstown, June 13th. A compilation of traditional fiddle tunes collected by Denis Sweeney, master traditional fiddler, edited by Johnny Murphy. This book is more than a celebration of one of Ulster’s Master Fiddlers. It is a continuation of an aspect of Denis’ work which involved transcribing and preserving the work of such great traditional musicians as Coleman, Morrison, Killoran and Gillespie. Over the years he diligently transcribed much of their work by listening and re-listening to their recordings and painstakingly and, with great musical sensitivity, preserving them in his notebooks, making the work of these masters available to his students and other musicians. With the publication of these notebooks, we hope to ensure that this work is given greater durability and reaches yet another generation thus, in turn, Continuing Denis’ legacy by playing our part in the transmission of the repertoire and playing styles of some of the most accomplished traditional musicians. Johny Murphy of https://www.facebook.com/BraidRiverViolins" target="_blank" rel="nofollow">Braid River Violins, Ballymena, inherited the oriinal manuscripts of Denis Sweeny. Denis had spent years preserving the work of such great traditional musicians as Coleman, Morrison, Killoran and Gillespie. This is a 'must have' collections for all serious Irish traditiona fiddlers. Lovely piece on @RightToRide's website on #valhallaandthefjord Website here: http://www.righttoride.co.uk/2015/05/28/valhalla-and-the-fjord/ … @ClachanBooks @ABRmagazine @MEMemagazine. Richard Hayward's son, Ricky Hayward and his grandson Paul Hayward to receive the bronze of Richard's head. It was also an occasion I (that's me in the middle) could present them with Clachan's republication of "Ulster and the City of Belfast". Reading the book where it is set. Paul Clements perusing the second edition of his poineering work on the life of Richard Hayward, "Romancing Ireland", published by Lilliput Press. He is standing outside the former Antrim Road house of the multi-talented singer, travel writer and movie star, who was recently honoured with bronze artwork in the Linenhall Library. From "The North Belfast News"